We have updated this on Friday, Aug 10th with the most current info…please read below…as there are changes and updates. Join us for a day to celebrate all the summer flavors before they are gone! Saturday, August 11! Sadly as of Friday’s picking looks like we are almost done with cantaloupe for the season so maybe a few but not a lot of cantaloupe. Sale on fresh picked tuttle’s peppers – lots of Peppers in season right now!! Good’s Ice Cream Truck (10am to 2pm) – weather permitting. Good’s Ice Cream from Anderson, IN will be bringing their ice cream truck and will have ice cream available for purchase. A celebration of summer is not complete without ice cream. Tuttle’s Roasted Corn (10am to 2pm) – LIMITED SUPPLY. Tuttle’s BLT with freshly sliced tomatoes and Indiana raised bacon. Tuttle’s Tomato Mozzarella Sandwich with fresh raised tomatoes, basil, and pesto. There is no charge to explore the trail, but it is DONE BLOOMING for the season. You can pick sunflower flower heads for seed for $1/seed head. Pets are not permitted due to all the food safety regulations we must comply with. In the event of rain or severe weather the outdoor activities will be closed for your safety. 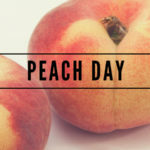 July 21: Peach Saturday @ Tuttles! 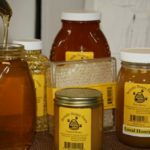 FAQ: Where do I get Local Honey in Indianapolis?